Welcome to the Singing Creek Educational Center! Singing Creek Center is Moving! Have you heard? Singing Creek Educational Center has a very special new home in a place that’s full of local history! 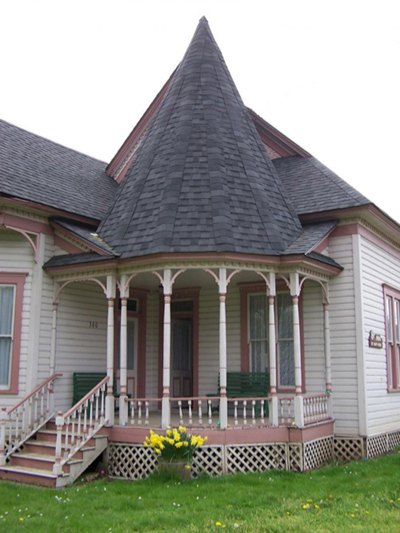 We will now be located in the historic Dr. Snapp House in Cottage Grove, OR at 360 River Road. The house is located along the Coast Fork of the Willamette River greenway. It is also adjacent to a large city park so there will be plenty of room for outside activities as well as our regular inside programs in this cozy home built in 1886. The house bears the name of one of Cottage Grove’s first physicians, Dr. G.O. Snapp. The doctor built the house to serve as his residence and office. The home has ornate exterior gingerbread features and a tall spire called a “witch’s hat” atop the front entrance. It’s a one-story house with 12.5 foot high ceilings throughout its interior and is decorated in period style. An early advertisement in an 1899 issue of the Bohemia Nugget identifies Dr. Snapp as a physician and surgeon, who also extracted teeth. There are artifacts inside the house that tell more of the story of the early and colorful doctor who served patients in Cottage Grove around the turn of the last century. The home also sits next to Silk Creek where Cottage Grove’s first grist mill was located. The old grist mill is now a feed store across from the Snapp House where farmers and city folk alike come to buy their chicks, bunnies, farm and pet food. There is also an historic “swinging bridge” near the house that is currently being renovated. This bridge served early school children who needed to cross the river to get to school located on the east side of the Willamette. Go back in time and have an experience you will never forget. 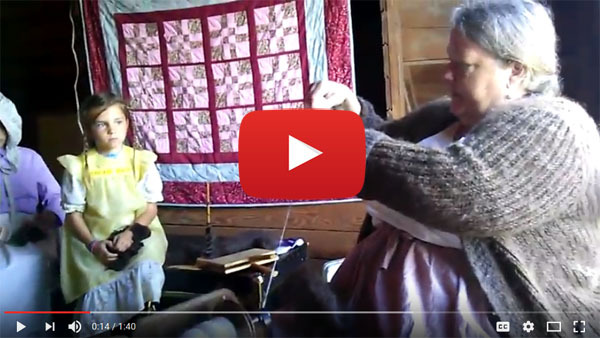 Have you ever wondered what it would be like to be pioneer in Oregon in the 1800’s? Have you been yearning to get outside and learn about nature and experience a creek, woods and pond? Wanted to know more about First Peoples (Native Americans,) Lewis and Clark, and early settlers of Oregon? 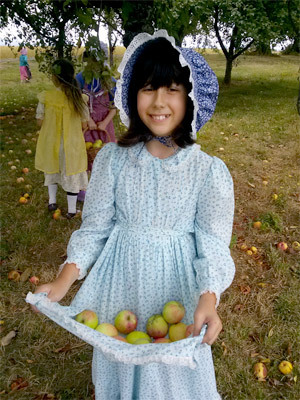 Our interactive history programs for children and families include school field trips, classes, pioneer summer camps, and several special events throughout the year. Join us at the Kids Zone of the Bohemia Mining Days Festival in Coiner Park, in early summer and try out all the different hands-on activities at a multitude of booths, including weaving, games, crafts and petting a horse. We also offer monthly home school classes for your group from Sept- May. 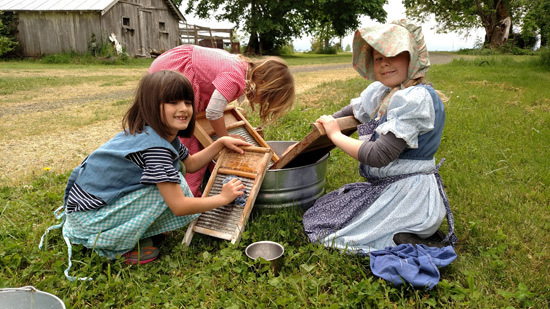 Some of our favorite activities include butter churning, grain grinding, sewing, making puppets, learning pioneer games and songs, washing clothes, gardening, herbal walks and trading with the trapper. 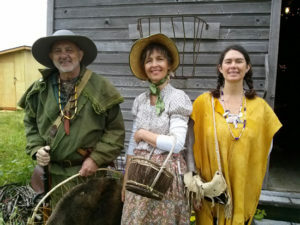 Summer camps include visits from costumed interpreters like the medicine woman, the spinners, the trapper, “grandma” and more. If your family enjoys reading about life on the prairie, or watching the T.V. shows, your kids will love living the experience. 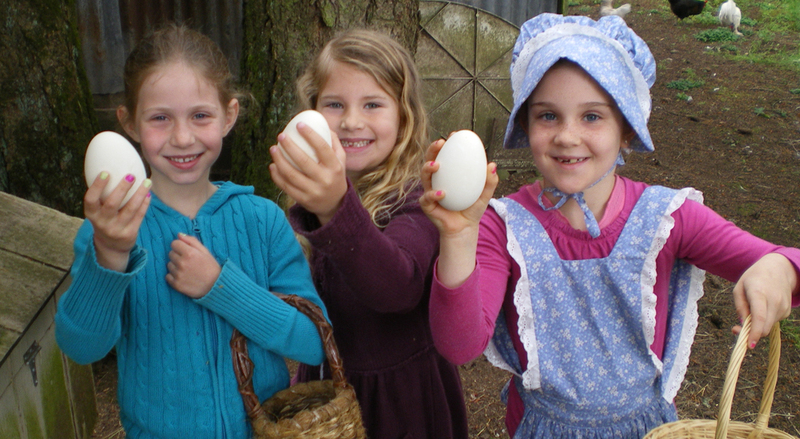 Classroom field trips are now available for 3rd- 5th graders (and even homeschoolers or scout groups!) 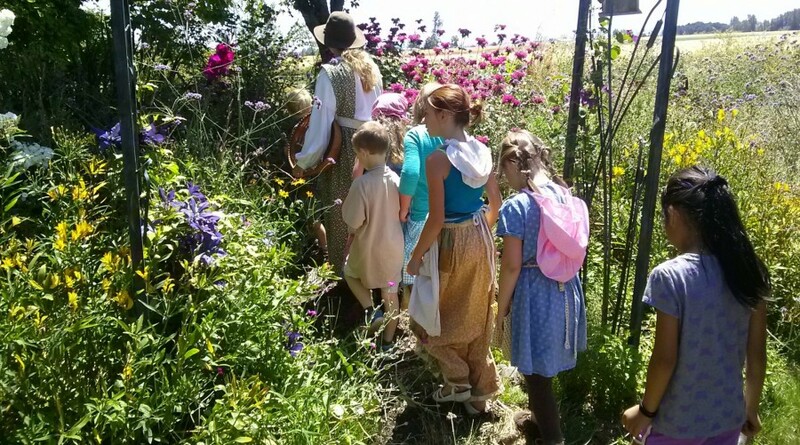 The Travel in Time field trip includes learning about the Kalapuya First Peoples of Oregon, the mountain man trappers, and the pioneer settlers with hands on experiences, crafts, and a guided nature walk around the property including the pond. 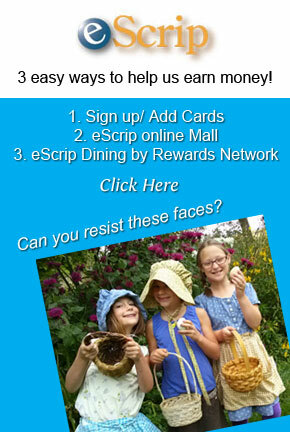 See our Field Trips page for more info. Please support our work — bringing history to life. Your financial contribution makes it possible for us to bring high-quality educational experiences to kids in under served communities in Lane County. Click the Donate button above and be a part of the magic! The pioneers have so many lessons to teach us, about the value of hard work, respecting the land, teamwork, and perseverance. The videos on our channel show the many engaging, hands-on activities the children participate in during Singing Creek’s programs and workshops, where they learn honest pioneer values.